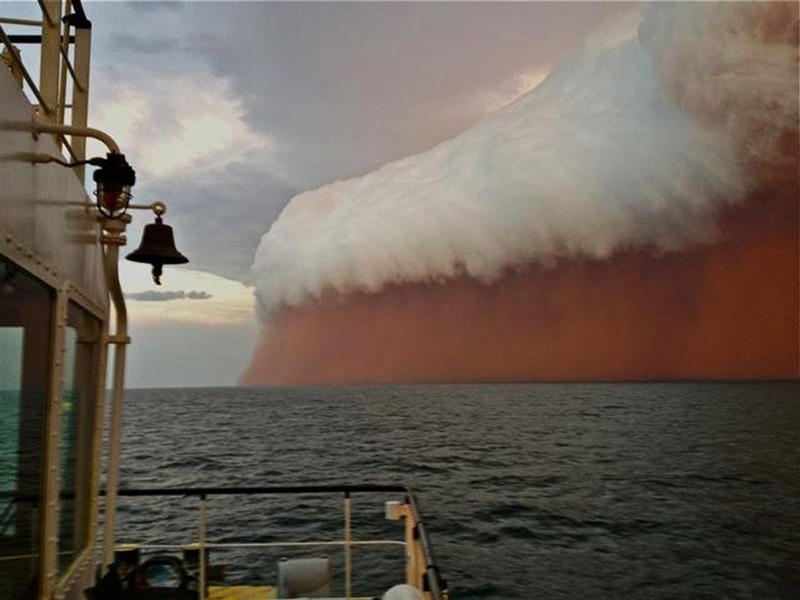 approaching Onslow on the West Australian coast, on Jan. 9. Tug boat worker Brett Martin, who captured the fearsome pictures 25 nautical miles from the town of Onslow, reported conditions were glassy and flat before the storm hit late on January 9. But when the wild weather arrived, the swell lifted to 6 feet, winds increased to 40 knots and visibility was reduced to 328 feet.